ADT Pulse is your new standard for home security and home automation. ADT Pulse monitoring is the most popular home security monitoring option of our customers and is certainly the finest security monitoring available to you today. 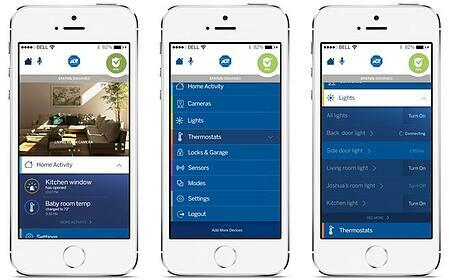 The ADT Pulse App is one of the most highly customer rated smart home security Apps in the home automation industry. What makes the ADT Pulse the finest security solution for customers is the ability to use mobile devices like smart phones, tablets and laptops to check the status of your security system. 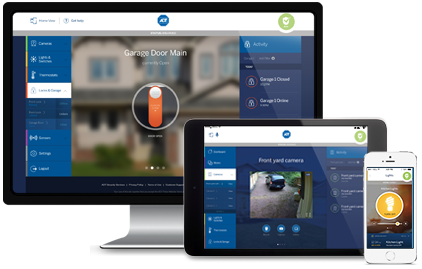 ADT Pulse also gives you the ability to remotely arm and disarm your home security system. You can set up your security system to send you text and email notification of emergency events. All this is backed by the most comprehensive security network of interconnected central monitoring stations providing you home emergency monitoring every second of everyday. Schedule a free home security review to have one of our Security Consultants come to your home and give you a live demonstration of ADT Pulse. Once you experience ADT Pulse, nothing else will compare to protect what matters most to you... your home and family! ADT Pulse with Remote Interactive Solution Services is by far our most popular security monitoring package. It provides incredible protection for a very reasonable price and includes ADT Pulse Voice Command. Here are the seven main benefits ADT Pulse will provide for you and your family. 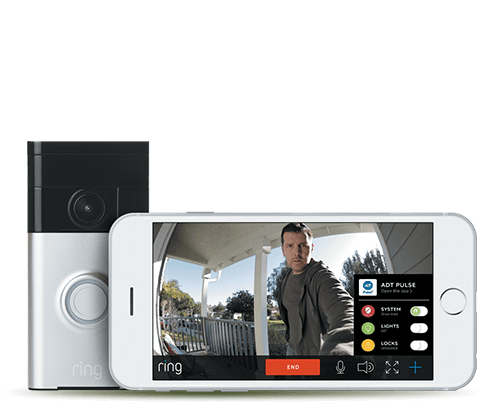 View secure real live video of your home from anywhere using a mobile device or computer with an Internet connection. Record 30 second video clips of device and emergency alarm events. Send video clips to users via text or email notifications. 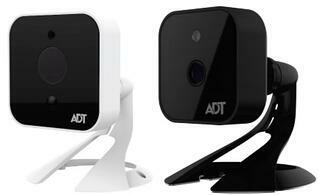 Use motion activated technology built inside the ADT Pulse cameras to trigger a 30 second video clip recording. Fantastic to record anytime someone comes to your front door. Remote lock/unlock and the ability to set schedules and automations to lock or unlock the dead bolts. With ADT Pulse lighting and thermostat control you will get convenience, comfort and energy savings. Both of these products will enhance your lifestyle while saving you money on your energy costs. The convenience of programming from your ADT Pulse web portal is so easy. Set weekly schedules and program triggered events based on a device or a date and time. Also remotely control both from your smart phone, tablet or computer via an Internet connection. Lighting control can be done with a lamp module (plug a lamp into it), light bulbs or light switches. Manage your entire ADT Security System including home automation and video surveillance from this beautiful touchscreen. This touchscreen sits on a tabletop docking station or can be installed with a wall mount dock. Must have Pulse Level III monitoring service for touchscreen to work with cameras and home automation. 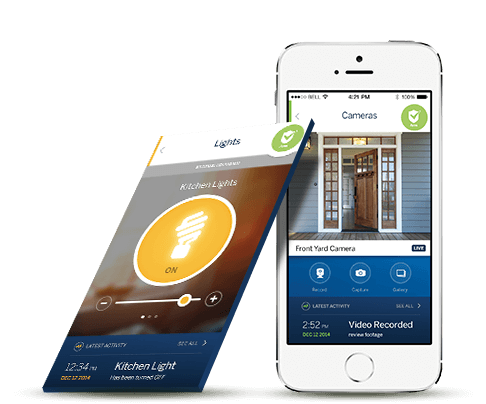 Joining ADT's home automation landscape are third party apps. These devices can be controlled with the ADT Pulse App allowing you to use them in many ways as if they were a part of your ADT Pulse system. 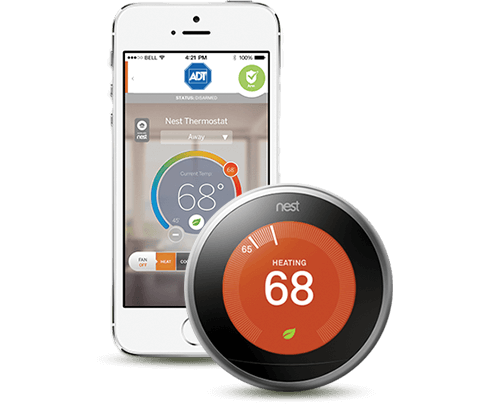 Learn more about the Nest Thermostat and Ring Doorbell integration with ADT Pulse. It is exciting that you now have the opportunity to get home automation at a very affordable price with ADT Pulse. To find out more or to schedule to have one of our Security Consultants come to your home to give you a free live demonstration of ADT Pulse, call us at 1-800-310-9490. "I was extremely happy with the process. The technology is there with all their security products and quite affordable... super helpful and genuinely cared we get the right system tailored to my family's specific needs." "Couldn't be more happy with the experience." "Joe Abeyta came by and gave me a great price on my new home security system! Couldn't be more happy with the experience. Excellent customer service, he was extremely knowledgeable and able to answer all my questions. I ended up going with the Pulse package with cameras and the remote door lock. The ADT app is super cool too since I can watch the cameras live from my phone. The installer did an amazing job setting up the cameras and wiring it so that there were no wires visible running down my wall. Overall I couldn't be more happy with the service."